The start of a new school year is always such a great feeling. You and your students get a fresh start. You can try new things. You can toss things that haven't worked for you. 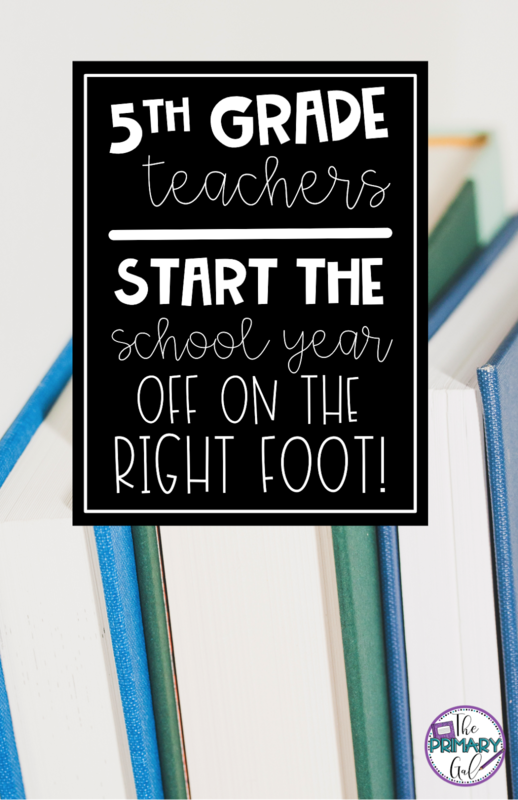 In today's post, I'm sharing a few things that I think every fifth-grade teacher NEEDS to have in place before beginning the new year. I'll offer how I do it too, in case you are looking for a new idea! While we all like to pretend like that test isn't going to happen, it will. I absolutely HATE cramming in all the test prep things a week or two before we begin testing. The reality is, if you have great routines for practicing critical skills all year, you won't be stressing in those last few weeks. I wrote a blog post last year about test prep routines in my classroom. I think these are critical to have in place to reduce the stress level of both you and your students. I don't care what you use or prefer, but it is critical that you have a system in place that rewards positive behavior. I have used a clip chart and Class Dojo throughout the years, and I've loved them both. In both scenarios, I rarely needed to take points away or have students move their clip down. Instead, I would call out students who were doing exactly what I wanted them to do. I can tell you that my lines were always straight and quiet in the hallway and my students always worked well in centers. They knew I was always looking to give points during those times. As they earned points (or moves up the clip chart), they earned money in our classroom economy. They could buy things that didn't cost me a dime, like line leader passes, snack passes, moving their seats, or iPad games. It was great motivation to work hard and make good choices. Whatever your morning or afternoon looks like in your school, I think it's critical to have procedures for your students to complete as they arrive and just before they leave. I always have mine posted in my classroom for my kids to take a look at and mentally check off. If not, I would have kids who forgot to download their homework or students without a sharpened pencil in sight. Take time to think through exactly what you want your students to do. I also require my students to do things in this exact order. I need you to use the restroom and turn in that homework more than I need you to begin morning work, like our math warm up or picture of the day. 4. Complete Math Warm Up. 5. Begin Picture of the Day. 1. Clean up the floor. 2. Clear the top of your desk. In my classroom, they would lose a Dojo Point if they didn't do one of these items and "got caught". For example, if they asked to use the restroom shortly after the bell rings at 8:00. I would always let them go, but they would lose a point. This rarely happened! 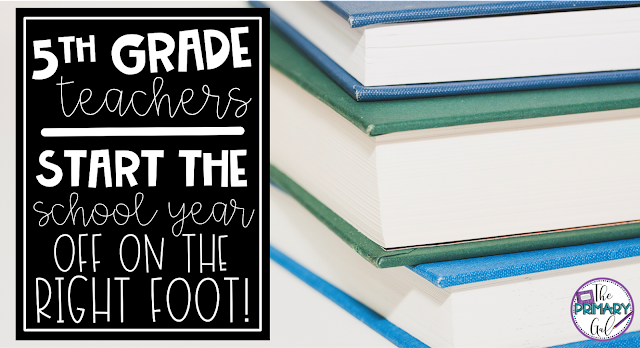 Hopefully these few tips will help you start the year on the right foot!